Taylor was born in Barnsley on 15th February 1914 and played for local side Worborough Bridge before joining the Wolverhampton Wanderers ground staff in 1931. He turned professional in January 1934 and was soon playing First Division football. Both he and his younger brother brother Frank were full-backs in Major Buckley's fine team of the late 1930s. He made his senior debut on 1 February 1936 in a 0-5 loss at Brentford, making ten appearances before the season's end. He became a first team regular after Cecil Shaw left in November 1936 and was a virtual ever-present for the next season-and-a-half. In 1937-38, his only full season in the team, saw the club missed out on the League title by a single point. After a total of seventy-nine League games he was transferred to Second Division Norwich City June 1938, and was replaced in the Wolves side by his younger brother Frank. 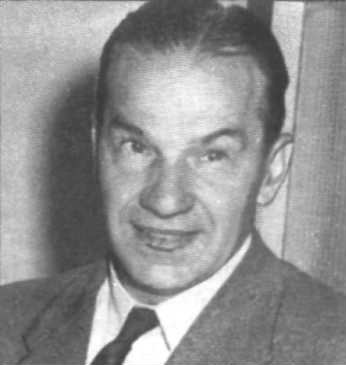 He managed one full season at Carrow Road, making thirty-four League appearances before the suspension of League football due to World War Two. After guesting for Barnsley and Watford during the war, he rejoined Norwich City who had slipped into the Third Division South and made sixteen appearances for the Canaries as they were forced to seek re-election after finishing twenty-first in the 1946-47 season. He joined Hull City in July 1947. There he rejoined Frank Buckley and there he ended his playing days under another future Leeds United Manager, Raich Carter, after making seventy-two League appearances and helping them to the Third Division North Championship in the 1948-49 season. He hung up his boots in the 1949-50 season and he went into Management and cut his Managerial teeth at Southern League club Weymouth. He did enough to prompt Queens Park Rangers to appoint him as their replacement for Dave Mangnall as Manager in June 1952, after the ex-Leeds striker could not save them from relegation from Division Two. In nine years with the London club, Taylor proved a solid if unspectacular manager, often picking up useful players from the Leeds area, but never having the ability to take Rangers to a position in the League above tenth. In addition to this they suffered two humiliating FA Cup defeats to Non-League opposition, including a 6-1 thrashing by Hereford United in the Second Round in December 1957. Arthur Turner, the Headington and former Birmingham City Manager had been the favourite to take over the Managerial reins at Elland Road as Bill Lambton's replacement, but he was pursuaded to stay at Headington, where, as Oxford United, he helped them gain admission to the Football League. Second choice for United had been former skipper Tommy Burden, but he refused the poisoned chalice too. United had become a laughing stock under an inexperienced manager in Bill Lambton and the playing staff had lost both spirit and discipline. It was into this environment that Yorkshire born Taylor, arrived at Elland Road as third choice for the job. Taylor was just what United wanted to consolidate their position and, after a series of Managerial musical chairs, the United board appointed the Queens Park Rangers' Manager and he took the job in May 1959. Nurturing new talent was a key responsibility of one of Jack Taylor's new appointees, coach Syd Owen, who had joined from Luton Town where he had had won the Footballer of the Year award and briefly been manager. Owen insisted on bringing trainer Les Cocker with him, but for all their good work, Leeds drifted down the First Division and towards relegation in 1959-60. He had immediately lost favour with the supporters, who did not take kindly to him selling two of their favourite long-serving stalwarts, Jimmy Dunn and Eric Kerfoot, without really replacing them. Unfortunately, within a year United were relegated with Taylor unable to plug a leaky defence. The rot had started before Taylor's arrival and apart from Jack Charlton and Grenville Hair, the solid defence which had served United so well throughout the fifties was no longer in place and after selling star striker Alan Shackleton to Everton in September 1959, he was fortunate to pick up John McCole, who was a powerful and confident striker, for a bargain £10,000 from Bradford City as his replacement. McCole produced the goods with twenty-two goals in thirty-three games and another one in their only FA Cup game at Villa Park but although Chris Crowe, who was sold in March, chipped in with eleven the sixty-five goals for were far outweighed by the ninety-two against from the worst defence in the First Division and United were relegated with thirty-four points, strangely enough only twenty-one points less than the Champions Burnley, who they beat at Turf Moor that year. Three more stalwart departed in the close season in Archie Gibson, George Meek and the reliable Irish International and ex-skipper Wilbur Cush. Taylor had bought a strong defender in Freddie Goodwin in March 1960 for £10,000 and in tandem with Jack Charlton United were steadier in defence in the Second Division. He also signed Eric Smith in the close season from Celtic but the Scottish International had no luck with injuries and after just two games he suffered a broken leg and was out until after Christmas. Other signings, particularly crooning ex-England International winger Colin Grainger were disappointing and even though John McCole again produced the goods with twenty goals in thirty-five League games and another four in five Cup games, there was no other player near double figures and team showed little sign of being able to recapture their premier status in the season following their relegation from Division One and they languished in the relegation zone the entire season. Taylor resigned on 13th March 1961, even though he still had a year to run of his £2,000 per annum contract, and he was succeeded by Don Revie. He drifted out of full-time football and died in his home town on 22nd February 1978, one week after his sixty-fourth birthday. John Simkin Spartacus Educational September 1997 (updated August 2014). The Encylopedia of British Football: Jack Taylor John (Jack) Taylor was born in Barnsley on 15th February, 1914. A full-back, he played for Worsborough Bridge before being signed by Major Frank Buckley, the manager of Wolverhampton Wanderers in 1935. He joined a team that included Stan Cullis, Gordon Clayton, Bill Morris, Dennis Westcott, George Ashall, Alex Scott, Tom Galley, Dicky Dorsett, Bill Parker, Bryn Jones, Joe Gardiner and Teddy Maguire. In the 1937-38 season Wolves finished second to the mighty Arsenal in the First Division. Dennis Westcott finished the season as top scorer with 22 goals in 28 appearances. After playing 79 games for Wolves Taylor joined Norwich City. His career was interrupted by the Second World War. He returned to Norwich and had played 53 games for the club before moving to Hull City in 1947. He played 72 league games for his new club before joining Weymouth in 1949. Jack Taylor died in 1978.